The Parish of St. Dominic extends to you and your family our deepest sympathy and support. The death of a loved one, while a difficult time, is a time when we as Catholics celebrate the promise of eternal life. Whenever any member of the parish is in pain, we all share their suffering. May we assure you that you are in our prayers and those of the entire Staint Dominic Parish Family during the days and months ahead. 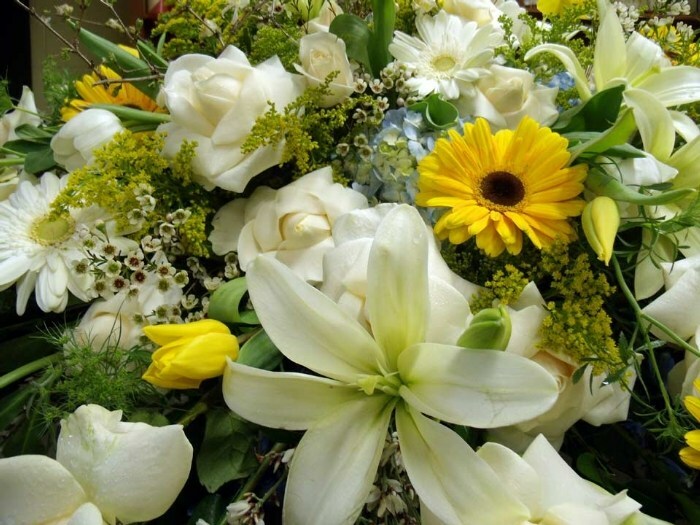 In order to better celebrate with you and your family the Mass of the Resurrection for your loved one, we have prepared a Planning Booklet and supplied your Funeral Director with a copy of the Rite of Funerals (containing the readings and prayers for the Mass) which they will loan to you. We offer these two books to help you and your family plan the liturgy. Is there a particular Church hymn that you would like us to use as part of the Funeral? If you wish to plan the music more extensively, please contact Tim Carl, Parish Music Director, at (516) 761-6423 or at tpcarl@verizon.net at least a day before. Click here for a list of suggested hymns. Please spend some time with your immediate family in reviewing the planning booklet. You need only fill out those parts you feel comfortable with. Your input will greatly assist the priests of the Parish in preparing the Funeral Liturgy. After the wake prayers, one of us will spend a little time with you, and whichever family members feel they would like to speak with us, to review the information from the planning booklet.